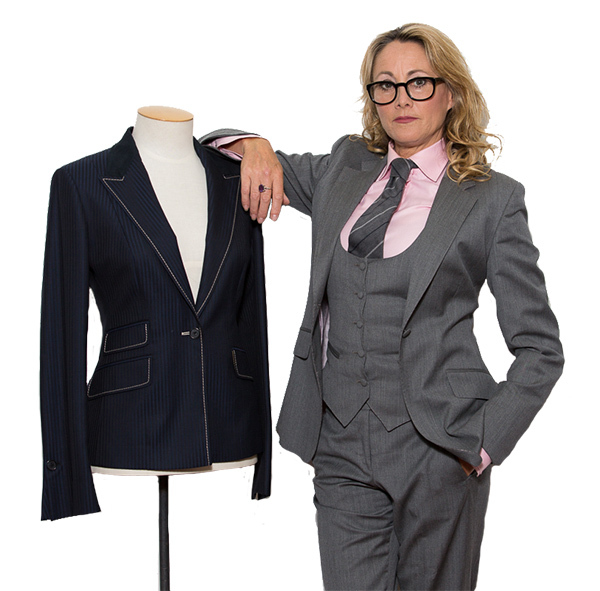 International contemporary Auckland suit tailor Serena Kelsey possesses a wealth of experience with bespoke tailoring. Serena started her own bespoke tailoring label in the late 1980’s, opening her flagship store in Covent Garden in 1990. In 1997 she opened a second store in the City of London. The Kelsey London Label that she designed for men and women was stocked at Selfridges of London, John Lewis of London and Saks 5th Avenue NY. Serena was voted Menswear Designer of The Year in 2001 by GQ Readers. Her clients include royalty, captains of industry, legal professionals and A-list celebrities. See what our clients are saying – click here. Now an Auckland suit tailor, creating lovely garments for many of New Zealand’s top executives and lawyers. Serena is now launching her Kelsey label in New Zealand, starting out with some of the finest tailor made garments available nationwide. We have clients in Auckland, Wellington and Christchurch. Our fabric is sourced from all over Europe and we are renowned for our attention to detail and top of the line customer service. Doug Cowan, Barrister & Solicitor "Serena is to me an incomparable Tailor who desgns exquisite suits and jackets. I highly recommend her fine finesse work and as someone I find so effortless to do business with"